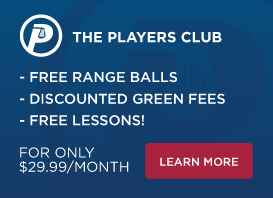 Lake Forest Golf and Practice Center, conveniently located where the 5 and 405 freeways meet in Lake Forest, California, features a 9-hole executive par 29 course is situated among orange groves just west of the Saddle Back Mountains. The walkable course layout offers a perfect introduction to the game for beginning golfers and juniors, while, thanks to numerous mature trees, soft sand bunkers, and two on-course lakes, still delivers a challenge to the seasoned player. Ready to play at Lake Forest? Our charming 9-hole, par 29 golf course features soft sand bunkers, and water comes into play on most holes, and many mature trees challenging shots off the tee and defending manicured greens. LakeForestGolf Range will be closed for until further notice, but the course is open. Check back here or call the shop for range updates. -Thank you.